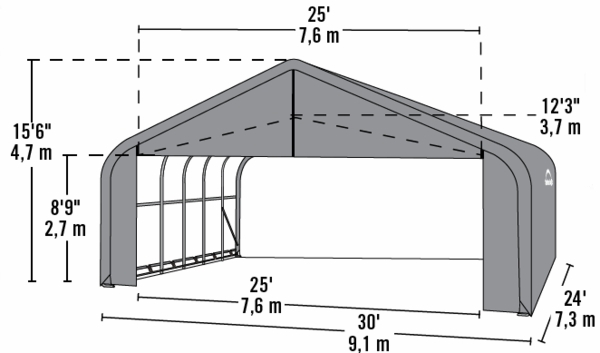 Filling a standard sized outdoor shed to capacity with outdoor tools and recreational items is not a difficult task. However, filling this large storage shelter from Shelter Logic is a difficult thing to do. 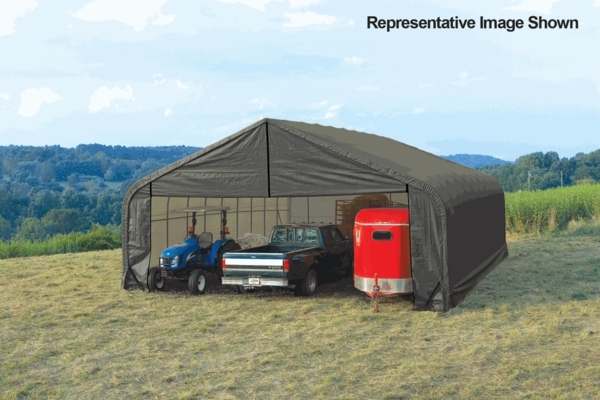 It's massive 30 x 24 foot area gives you plenty of room to store any of your outdoor equipment. The shelter is framed with 2 3/8" steel that has a powder coating from DuPont that is resistant to rust and chipping.